ESA’s Gaia is destined to create the most accurate map yet of the Milky Way. By making accurate measurements of the positions and motions of 1% of the total population of roughly 100 billion stars, it will answer questions about the origin and evolution of our home Galaxy. 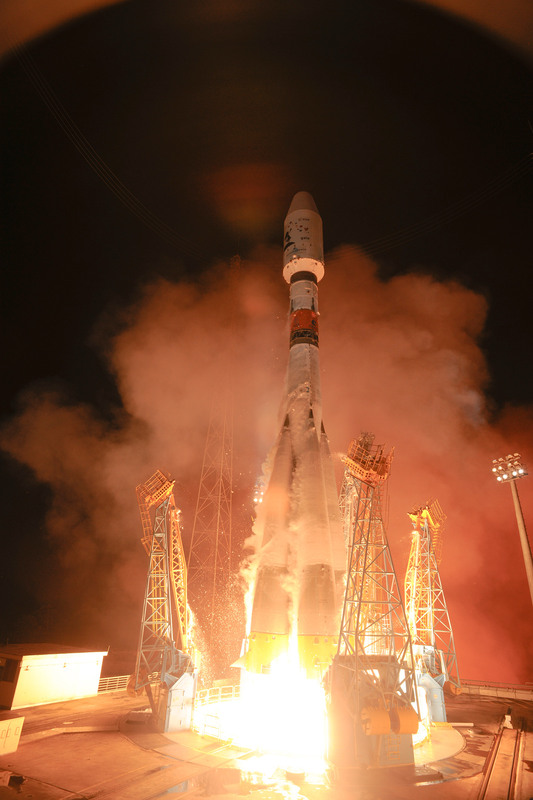 The Gaia mission blasted off the morning of Dec. 19, 2013 on a Soyuz rocket from Europe’s Spaceport in Kourou, French Guiana, on its exciting mission to study a billion suns. Gaia will settle into orbit around a gravitationally-stable virtual point in space called L2, some 1.5 million kilometres beyond Earth as seen from the Sun. After a four-month commissioning phase – during which all of the systems and instruments will be turned on, checked and calibrated – Gaia will be ready to begin its five-year science mission. After five years, the data archive will exceed 1 Petabyte or 1 million Gigabytes, equivalent to about 200,000 DVD’s worth of data. The task of processing and analysing this mountain of data will fall to the Gaia Data Processing and Analysis Consortium, comprising more than 400 individuals at scientific institutes across Europe. 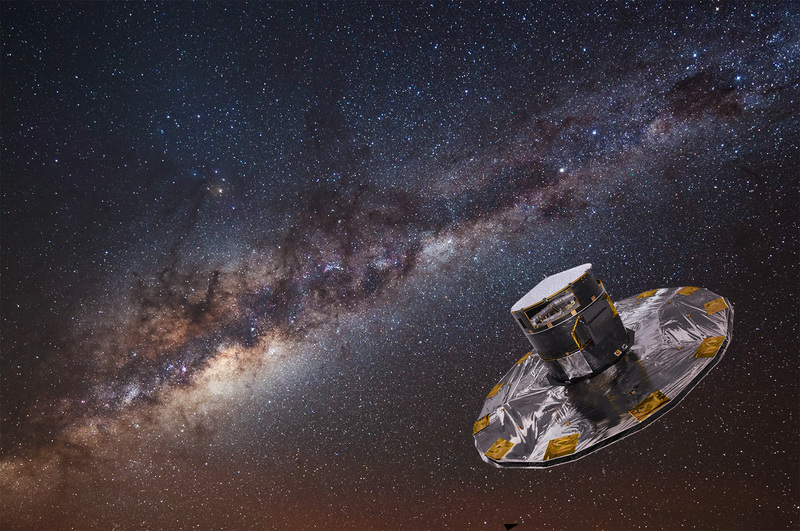 “Where Hipparcos catalogued 120,000 stars, Gaia will survey almost 10,000 times as many and at roughly 40 times higher precision,” says Timo Prusti, ESA’s Gaia project scientist. The spacecraft was designed and built by Astrium, with a core team composed out of France, Germany and the United Kingdom.